Founded in 1934, Auth Florence (also referred to as Florence Manufacturing Company) has focused on manufacturing superior quality commercial mailboxes for centralized mail distribution. 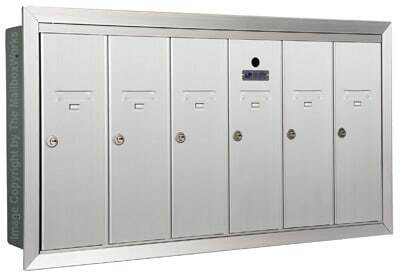 In fact, Auth Florence Manufacturing sets the standard for centralized mail delivery security features designed to exceed approved USPS guidelines in products like outdoor pedestal CBU mailboxes, 4C horizontal mailboxes, 4B+ commercial mailboxes, and Florence vertical mailboxes. All Florence mailbox systems are designed for centralized mail delivery but also to meet ISO standards for quality production and environmental standards. 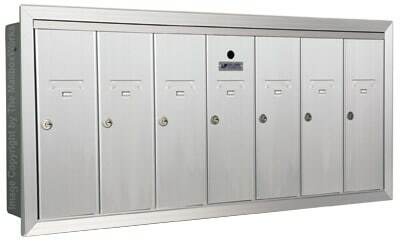 As one of the leaders in the commercial mailboxes industry, Florence Manufacturing offers a wide range of USPS serviced and Private mail distribution mailboxes. 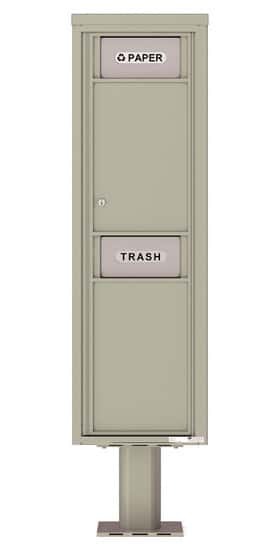 USPS will allow Florence vertical mailboxes to be used only as replacement mailboxes for renovation projects. 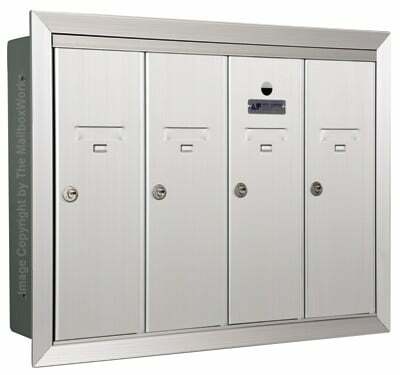 Otherwise, all new commercial mailbox installations are required by USPS to be 4C horizontal mailboxes, 4B+ postal distribution mailboxes, or outdoor pedestal Florence CBU cluster box unit mailboxes. 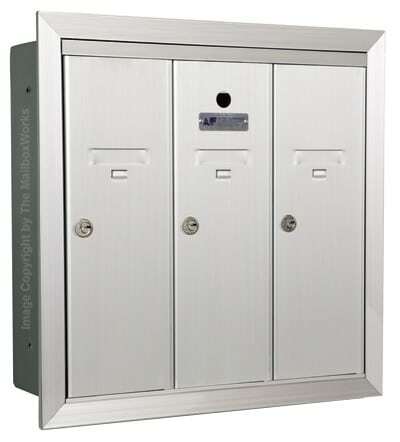 Florence Manufacturing also makes mini cell phone storage lockers, wall mount collection boxes, letter slots, key keepers, recycling and trash bins, as well as private distribution horizontal mailboxes. All Auth Florence mailboxes are made in the USA at their state-of-the-art manufacturing plant in Manhattan, Kansas. Shop for Auth Florence commercial mailboxes online at The MailboxWorks or call us toll-free at (866) 717-4943 to speak with our mailbox professionals if you need assistance in ordering Florence mailboxes to meet your specific requirements. How do I install a Florence mailbox? Each Florence mailbox comes with “do it yourself” instructions. In addition, instructions can also be found on each specific product page of our website which can be downloaded and printed at your convenience. You can also ask us about Florence mailbox unit installation and/or a recommendation for a local contractor who offers installation of Authorized Florence mailboxes. What are the improved features on the Standard 4C revision? 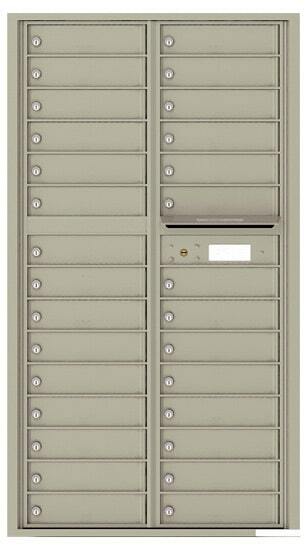 Effective October 2006, the United States Postal Service issued amendments to the STD-4C mailbox regulations, which is applicable to all residential or commercial wall mount mailboxes used for centralized mail delivery. 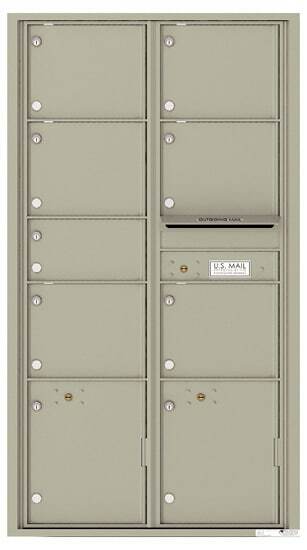 These new STD-4C mailboxes are replacing the STD-4B+ mailboxes. 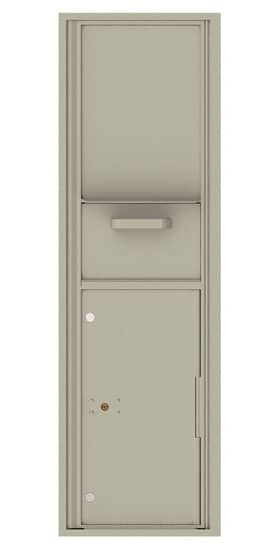 STD-4C mailboxes must now be installed in all new installation and major renovation projects. The new requirements provide a new form factor with increased the minimum size requirement (12″W x 15″D x 3″H). The vertical form factor design (5′′w × 6′′d × 15′′h) is no longer available. The new STD-4C mailboxes have a 1:10 parcel locker to tenant compartment ratio. There are also new strengthened security requirements throughout the entire mailbox receptacle. 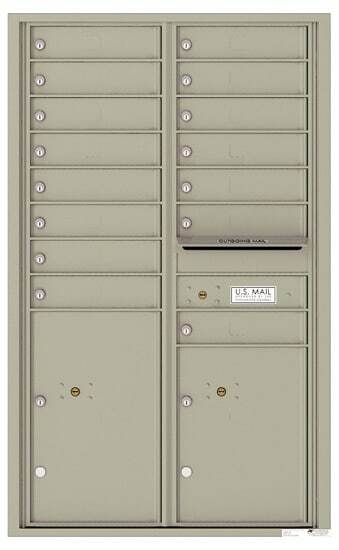 STD-4C mailboxes require an improved lock design and require mandatory security testing performed by the USPS. The new Standard 4C revisions are also compliant with the Americans with Disabilities Act (ADA). What are the improved features on the Standard 4B+ revision? 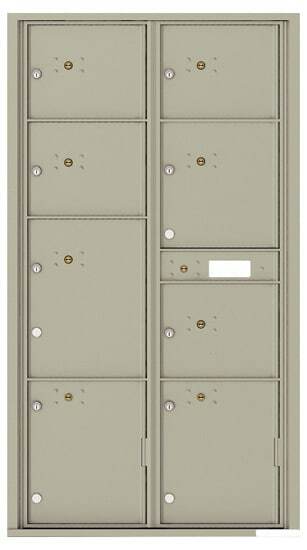 Most new Standard 4B+ mailboxes include master door gates with hardened Arrow lock brackets. In March of 2005, the United States Postal Service revised the standards for the STD-4B+ mailboxes. 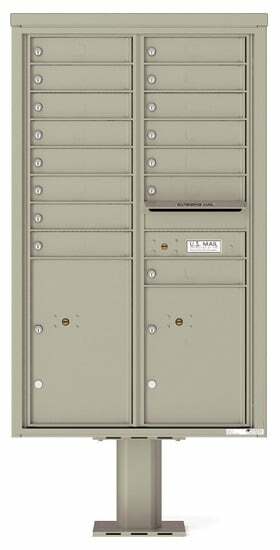 Now, all horizontal commercial mailboxes and all wall mount vertical mailboxes must include the added security of an Arrow lock compartment. What is the difference between Florence mailboxes for USPS Access and for Private Access? Florence mailboxes come ready for USPS access. 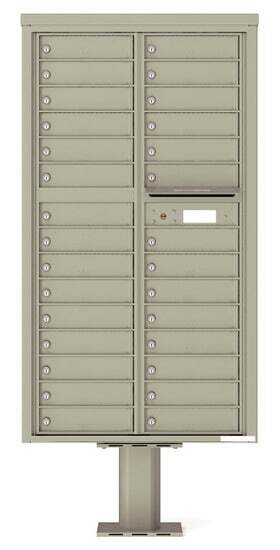 All that is needed is for your local postmaster to come and install the master lock(s) on your new Florence mailbox. Only USPS has access to install these master lock(s). If you wish to use your Florence mailbox for private access you will need to order a private master conversion lock (CK25750) for the master door and parcel locker. These conversion locks are available through The MailboxWorks. What constitutes a “major renovation” and require a USPS 4C mailbox? A major renovation is classified as any renovation that modifies the original wall where the wall-mounted mailbox was installed. If the wall opening is modified so that the mailbox can not be reinstalled in a one-for-one manner, the renovation is considered major and a new USPS STD-4C mailbox must be installed in order to meet current USPS standards. Who do I speak to about which USPS mailbox to install? If you have questions regarding the proper “USPS Approved” mailbox for your renovation or project, contact your local Postmaster or Postal Delivery Planning Official. 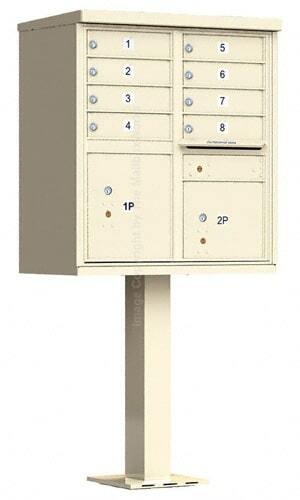 They can provide input on requirements prior to purchasing any new wall-mounted mailbox system. How can I tell what mailboxes meet USPS requirements? Each USPS approved Florence Manufacturing mailbox will have a USPS Approved Logo. You can also check with your local postmaster to ensure the mailbox you have selected will meet USPS requirements for its application. How does a mailbox qualify to be USPS Approved? Mailbox manufacturers must submit their mailbox design to USPS and undergo significant testing before becoming USPS approved for the market. How did the USPS decide on new mailbox regulations? The USPS conducted a number of studies on size and volume of mail delivered by the to Americans, as well as other factors that affect the USPS efficiency and delivery performance. The USPS also looked at mailbox vandalism trends along with forecasting the future of mail delivery. Following this research, the Apartment Consensus Committee was formed and met for a year to discuss the findings. This committee consisted of individuals from USPS plus various invested parties including Florence Manufacturing and other commercial mailbox manufacturers, plus commercial property owners and management and mailbox resellers. Based on research, discussions, and findings, the Apartment Consensus Committee created the new STD-4C regulation, which is now mandatory and went into effect in October 2006. Should I expect mailbox standards and regulations to change again soon? Prior to the 2006 regulation changes we were using mailbox standards from 1975. The USPS is careful to set standards that will be effective for several decades as implementing these standards is a lot work. Ultimately the USPS aims to set mailbox standards to meet the needs of current and future mail delivery. A centralized mail delivery system describes how mail is delivered and collected for multiple tenants or customers using one central location. Centralized mail delivery is often utilized in single-family subdivisions, office complexes, apartments, and more. What are the benefits of centralized mail delivery? Centralized mail delivery results in faster mail service as the postal worker has to make fewer stops along their route with less time per delivery. What type of mailbox do I need for centralized mail delivery? 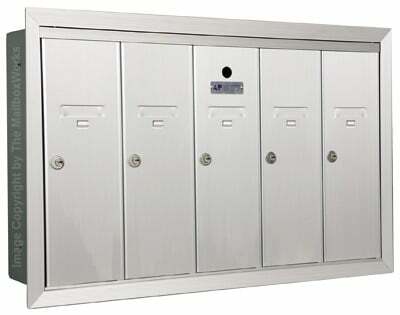 Typically, a “cluster” style mailbox is used for centralized mail delivery. 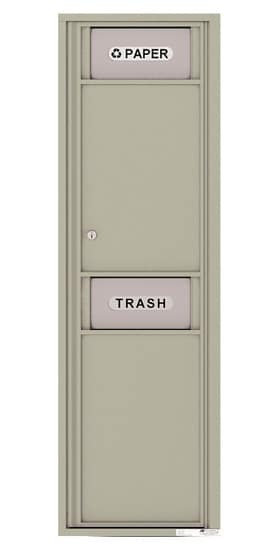 These can be pedestal mounted, which are free-standing CBU mailboxes, or they can be STD-4C compliant commercial mailboxes that are recessed mounted into a wall, or surface mounted onto a wall, or located in an outdoor mailbox shelter or kiosk. Do I need a USPS Approved mailbox for centralized mail delivery? Yes, United States Postal Service approval is required for all centralized mailbox delivery systems serviced by the USPS. Do I need a centralized mail delivery system for my new project? For all new residential subdivisions and commercial property developments, it is recommended that you speak with your local Postal Authorities to determine a mail delivery plan and what type of mailboxes will be required. Where can I find the manufacturer’s name on my mailbox? Typically, the mailbox manufacturer is stamped on the front of the mailbox unit. Look on the outgoing mail door or one of the bottom corners.